Love cats? Love stickers? Then you’ll love this! 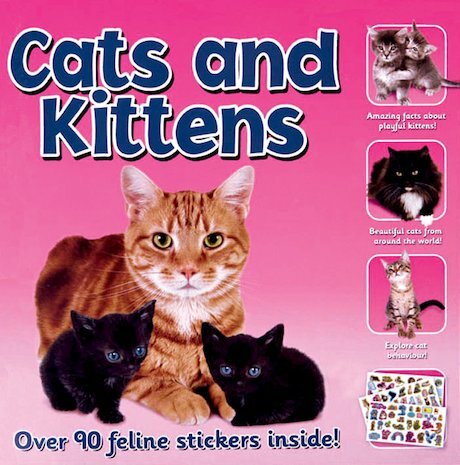 A book of cute kitty stickers to decorate absolutely everything. In full-colour photos, you can check out fluffy friends of all breeds, all shapes, all colours and all sizes. Plus there are over 90 stickers of adorable cats and kittens to brighten up your stuff. Pretty purr-fect, don’t you think? I realy realy realy want to read this book so badly because cats & kittens are my favarate animals !! !